Dennet Withington of Lilly Den Farm with Bluebell and her calf Bella. Visitors got the chance to milk Bluebell. Photo by Debbie Roos. 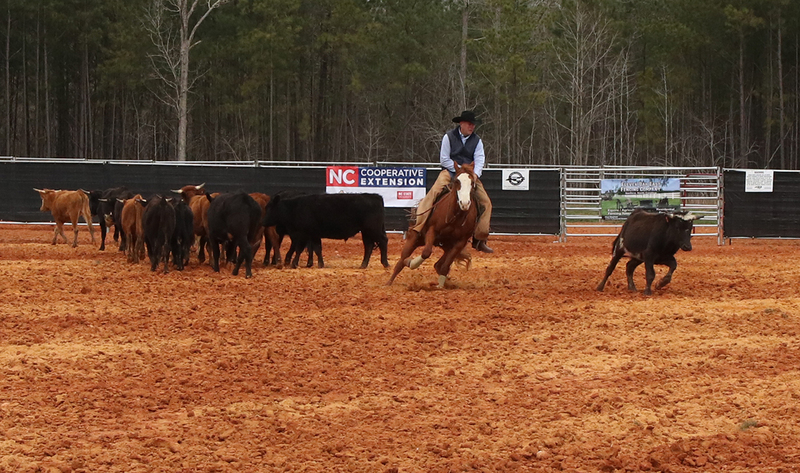 Marty Allen on his quarter horse Diamond cut a calf from the herd during the cutting horse demonstration. Photo by Debbie Roos. 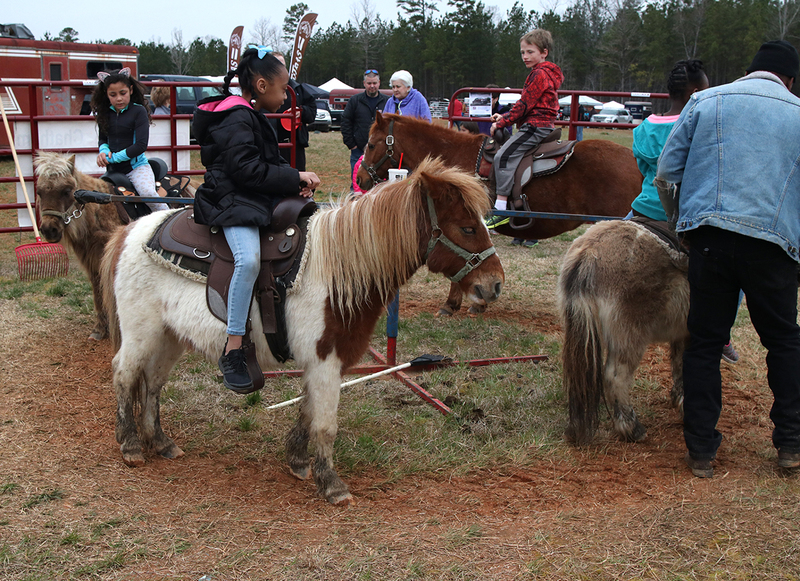 Free pony rides were sponsored by the Chatham County Farm Bureau. Photo by Debbie Roos. Arbor Enterprises booth. Photo by Debbie Roos. Crystal Glen Alpacas booth. Photo by Debbie Roos. Chatham County invites residents to join us for our 2nd annual Spring Ag Fest at the Chatham County Agriculture & Conference Center (CCACC) on Saturday, March 30, from 10 a.m. to 2 p.m. 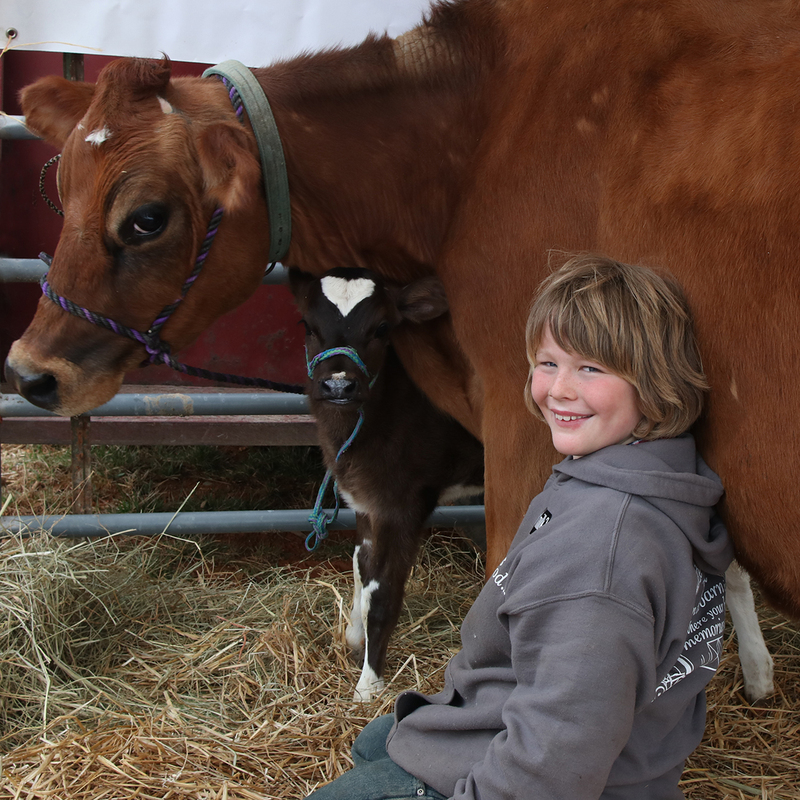 The Spring Ag Fest is a celebration of Chatham County’s agriculture, forestry, and natural resources. The event will offer something for everyone: livestock, exhibits, demonstrations, food trucks, and more. This event is made possible by the collaborative efforts of N.C. Cooperative Extension, Chatham County Center, Chatham County Agriculture & Conference Center, Chatham County Farm Bureau, Chatham County Soil & Water, Farm Service Agency, NRCS, and the NC Forest Service. Rodeo entertainer Keith Isley will amuse the crowd in between events at the Livestock Arena! Rodeo entertainer Keith Isley. Photo by Debbie Roos. Livestock including cattle, horses, alpacas, sheep, goats, donkeys, poultry, rabbits, and more will be on display for an up-close look. We will have FREE pony rides for kids sponsored by the Chatham County Farm Bureau! Visitors can try their hand at milking a Lilly Den Farm cow! 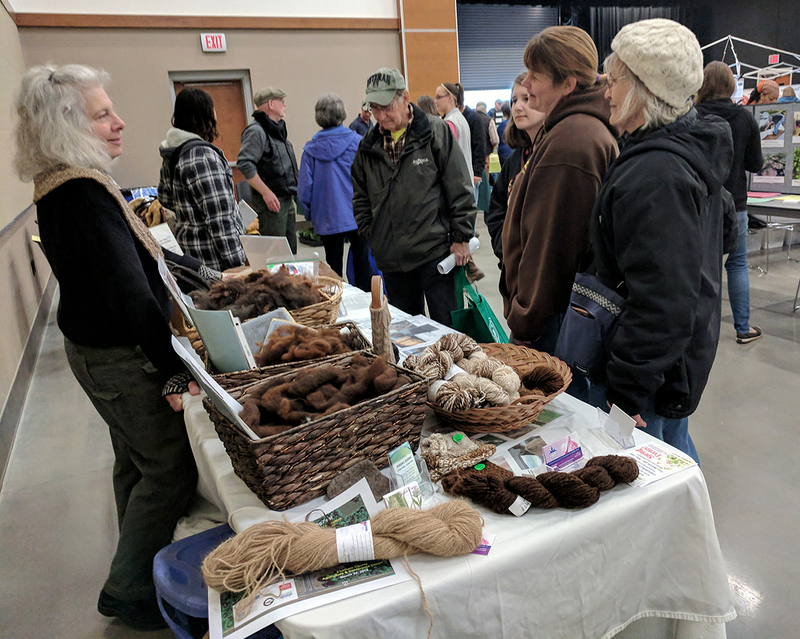 Indoor and outdoor exhibitors and vendors will highlight local farms, farmers’ markets, sustainable agriculture, agricultural support and advocacy, agribusiness, beekeeping, livestock, forestry, green industry, wildlife, conservation, and much more. Visitors will get to meet Smokey Bear and chat with our local forest rangers. Several Food Trucks will offer tasty options for lunch. Thanks to the generosity of the Chatham County Farm Bureau, the first 800 visitors will receive a $5 food ticket to spend at the food trucks! Indoor and outdoor exhibits will be in several areas throughout the Agriculture & Conference Center site and feature livestock, farm equipment, plants, informational booths, value-added farm products, demonstrations, and much more. We will have something for everyone! Gum Springs Garage – Stihl, Inc.
Overflow parking will be at the Hwy 64 entrance to CCCC. Free shuttle service will be provided by Chatham Transit. If you are interested in being an exhibitor or vendor around the theme of agriculture, forestry, or natural resources, email Victoria Brewer for more information. Chatham County Agriculture & Conference Center. Photo by Debbie Roos. The CCACC houses the offices of N.C. Cooperative Extension, Chatham County Center, Farm Service Agency, Natural Resources Conservation Service, Soil and Water Conservation, and the Forest Service. 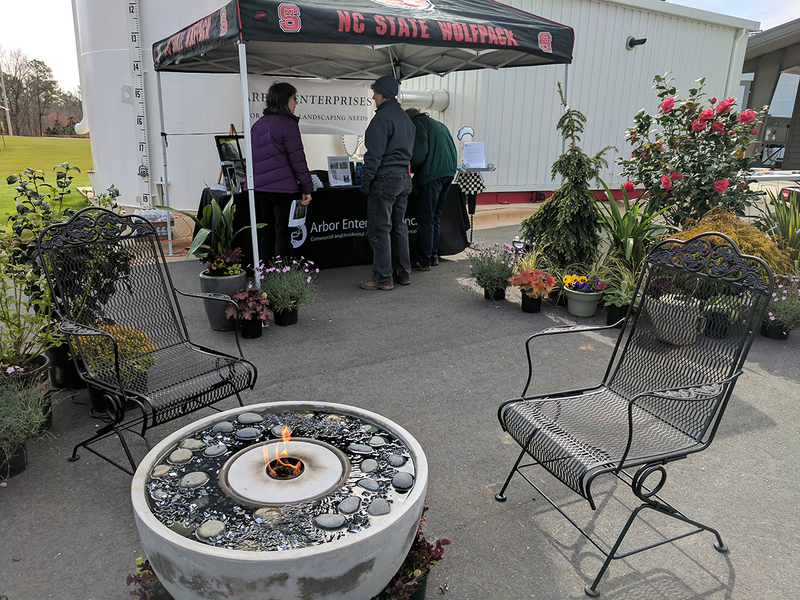 The event facilities provide year-round meeting and workshop space for agriculture, horticulture, forestry, natural resources, family and consumer science, and youth programs. 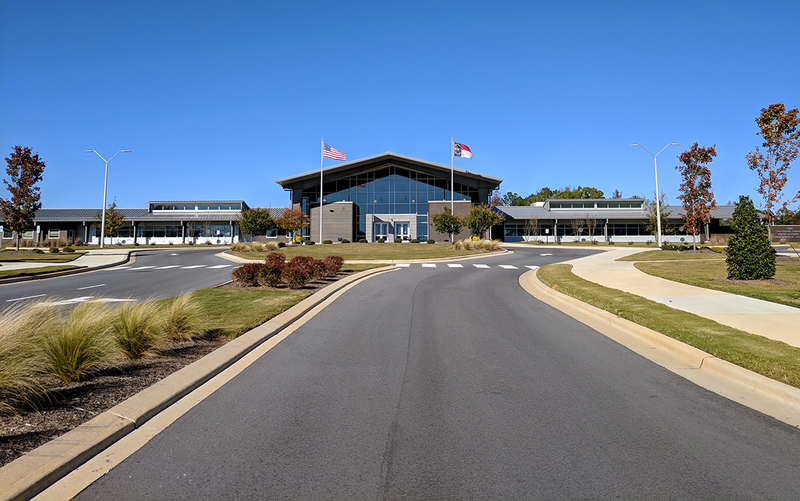 However, the CCACC is available for rental by organizations and individuals for all types of events, including conventions, trade shows, weddings, workshops, and banquets. It is the largest flexible meeting space in the county.